The Yasawa Islands are a picturesque chain of islands in Fiji, full of small resorts and postcard-perfect beaches. There are 20 volcanic islands that make up the group, each one offering incredibly diving (I actually learned to dive here), snorkeling, and hiking. The Yasawa Islands were actually closed to tourists up until 1987. Until that time, you could only pass them by while on a ship. As the demand for tourism grew, the government finally opened up this paradise to visitors. These days, there are around 1,000 people living on the islands, with tourism being the biggest source of employment. Unlike most tropical islands, the Yasawas have plenty of budget-friendly options that cater to the backpacker crowd. While you can definitely find luxury here too, you won’t have to go far to find basic dorm rooms or guesthouses, which makes this a surprisingly affordable place to visit. Backpacking the Yasawa Islands in Fiji is a unique experience. It’s not like any backpacking I’ve ever done. I’m not even sure “backpacking” — with its notions of independent, find your own way travel — is even the right word. Yasawa Island travel is more like an inexpensive organized hop on, hop off tour. Everything is taken care of for you — all you need to do is pick the island(s) you want to visit and go! Fiji is actually quite accessible, even though it’s located in the middle of the ocean (it’s almost 5,000km from Australia!). It’s a common stop on round-the-world tickets and an easy stopover flight if you’re coming from Australia or New Zealand. You can expect to pay at least 430 FJD ($200 USD) for a one-way flight from Australia and about the same if you’re coming from New Zealand. 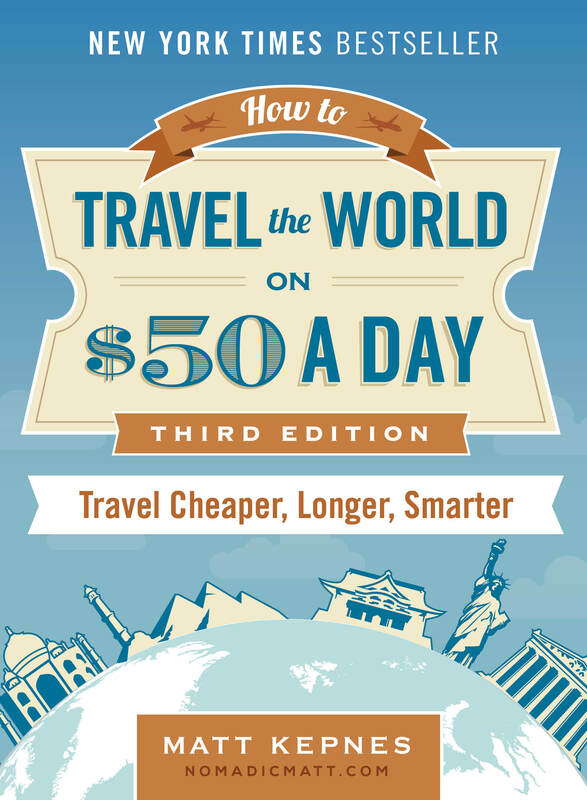 If you’re on a RTW trip, check out AirTreks to see if you can get a free stopover. 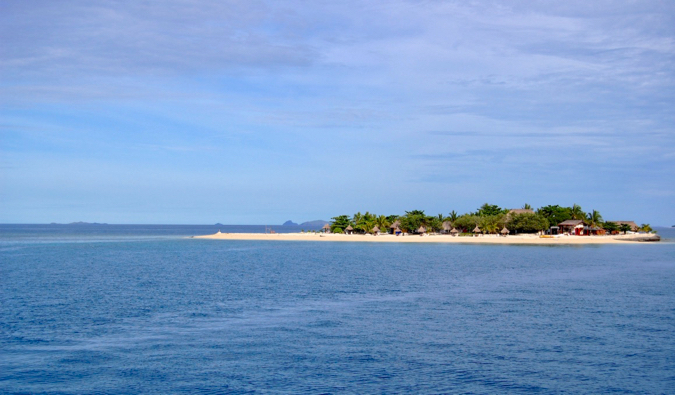 To explore the Yasawa Islands, you will want to buy a Bula Pass. It’s essentially a hop on, hop of boat pass for the islands. First, you will choose the length of your pass (5, 7, 9, 11, or 13 days) and then you can use the pass to explore the islands. Pretty simple! You can buy the pass when you get to the islands so there’s no need to do it before you arrive. The pass will be valid for travel onboard both Awesome Adventures and South Sea Cruises boats. Prices start at 455 FJD ($212 USD) for the 5-day pass and go up to 845 FJD ($395 USD) for the 13-day pass. If you don’t want the multi-day pass, check out the Tavewa Seabus. This catamaran is much faster than the other boats and is a great option for single journeys. Prices start at 100 FJD ($46 USD) per person and go up to 160 FJD ($75 USD), depending on where you are heading. Check their website to see what locations/resorts they can drop you off at. You can buy you a boat pass when you get to the pier. You don’t need to book it before you arrive in Fiji. A free shuttle is provided to and from the airport as well as your hotel or hostel. Don’t pay for a cab. Get a Bula Boat Pass! Even if you won’t use all your days (you only plan to stay for 5 days, though the smallest pass offered is 7), it still works out cheaper. Paying as you go can cost around 100 FJD each trip. If you plan to do multiple islands, you’ll spend even more money. Conversely, if you are only going to one or two islands, it is cheaper to simply buy a return ticket. Buy water and alcohol before you get to the islands as they cost about 40% less on the mainland. Beachcomber, the famous party island, is a waste of time. Everything costs double there. You can have an equally good time on South Sea or Bounty Island. They both look the same as Beachcomber and aren’t as expensive. If you are traveling with friends, it’s usually cheaper to rent a double than it is for each of you to buy a dorm bed. Keep in mind that many of the ferries don’t arrive or depart on time so never try to get somewhere in a hurry. Embrace the island life and relax! Cold/lukewarm showers are the norm (which is usually fine since it’s warm!). Many showers are also a mix of fresh and salt water since fresh water here is scarce. When is the best time of year to visit the Yasawa Islands? You can visit Fiji and the Yasawa Islands all year round, though the most popular times to visit are July-August and then in December. If you want to beat the crowds, try visiting in October or November. You’ll have a much quieter and less busy experience. Do I need to take cash with me? 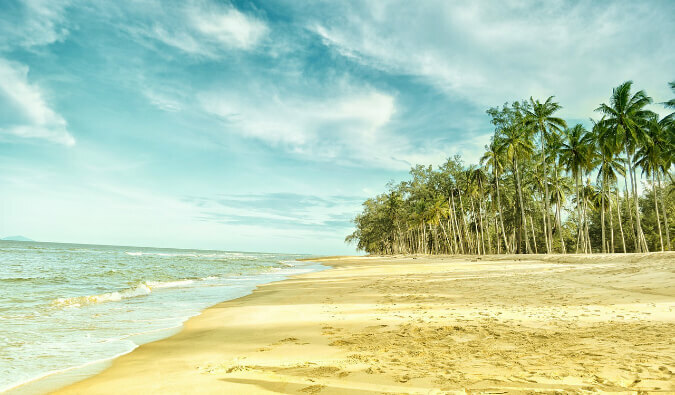 Credit cards are widely accepted on the larger islands, though you may want to bring some cash for smaller purchases and visits to the smaller islands. Take out cash on Nadi (the main island in Fiji) before you arrive, as many smaller islands don’t have ATMs. What are the best beaches in the Yasawa Islands? 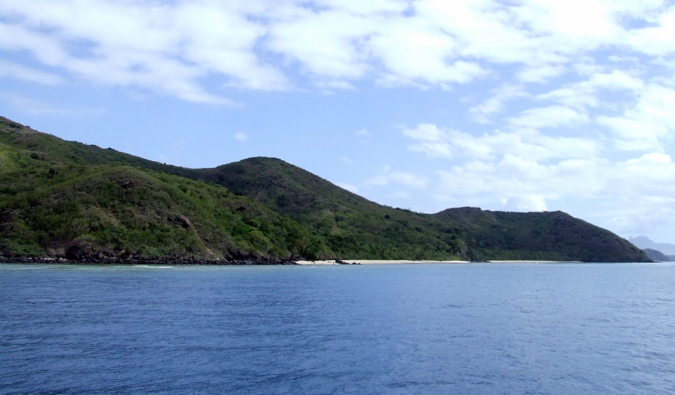 Nalova Bay (Nacula) – This is one of the most remote islands in the Yasawa group, and the beaches here are pristine. Tavewa Beach (Tavewa) – The beach is great for walking, though it offers some great swimming and relaxing too. Octopus Beach (Waya) – If you’re looking to go snorkeling, this is one of the best places in the region. Barefoot Manta (Drawaqa) – This island has great beaches, as well as plenty of opportunities for snorkeling and diving. Where are the best place to dive in the Yasawa Islands? Barefoot Manta Island – offers great diving along with the opportunity to see manta rays. 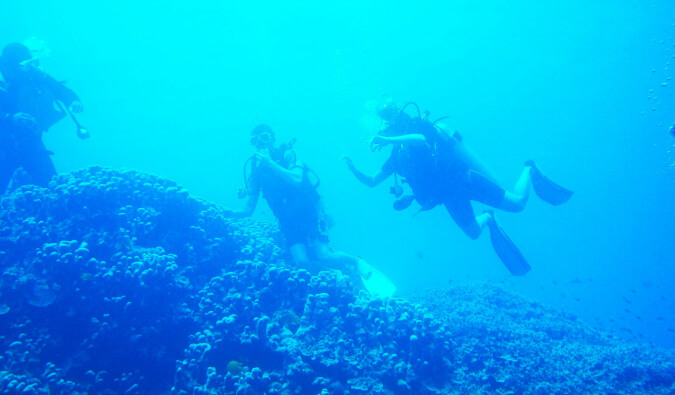 Naviti Island – Naviti Islands is home to both beginner reef dives as well as some more complicated cave diving. Tavewa Island – has some great novice dives sites as well as some incredible underwater photography opportunities. 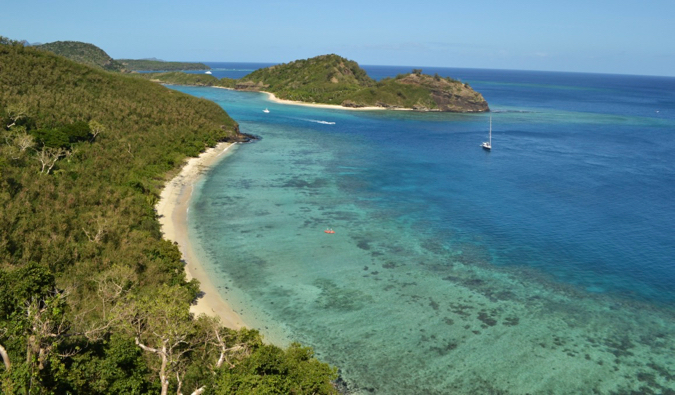 The Yasawa Islands are a picturesque destination with something to offer everyone. Swimming, hiking, diving, snorkeling, parties, relaxation — no matter what kind of trip you’re looking for, this little slice of paradise will have something for you. Best of all, you can visit without breaking the bank! Who holds your camera for you while you’re talking? Do you recruit unsuspecting fellow tourists? I bribe travelers with beer. Matty. LOVE the video. Perfect. Lots of info, good mix of you talking/local shots, good use of info on the screen – absolutely perfect. Hi Matt – love the video! Makes me want to go back and escape our cold January weather here in Toronto!! Just a reminder to people too, that although they can book right when they land, some of the more popular resorts do sell out during peak season so they may want to consider booking some of them in advance so they are not disappointed! Your webbie keeps getting better! I absolutely love the increasing production value and I’m a huge fan of your videos so far. I’m hoping we’ll be able to see a lot more in the future. I’m aiming to do 3 or 4 a month. Videos definitely looking nicer. You look/sound much more confident when you’re in front of it, too. The voice over will probably need a microphone so that it doesn’t sound so different from the normal video shots and audio. Other than that – keep it up! How cool! I know about hop-on-hop-off bus services, but I guess it never occurred to me that they offer that by boat in some places! The Greek islands have a ferry system, but it’s quite convoluted. It sounds like this is a quick and easy way to get around. Who knew it would be so easy to backpack around Fiji? And it looks stunningly beautiful. Enjoy it! This portion of the Yasawa Islands isn’t that big. Most of the islands are less than an hour boat ride. BTW, some of the resort islands offer boat transportation to their particular resort, and there is a dinner cruise that leaves from Port Deneraru (where the other boat leaves from) on a sailing ship, as well as some mult-day cruises. AirPacific also services Fiji (Nadi) from Honolulu. It’s a 5 1/2 hour flight. I went through the Yasawa’s a few years ago, this makes me want to go back. Yasawa looks great, I stayed on Mana Island part of the Mamanucas many years ago now, had a similarly great experience, Fiji is a great starting place for any long term trip away. I’m looking to make a quick trip to Fiji May 4-9th on my way to Sydney. 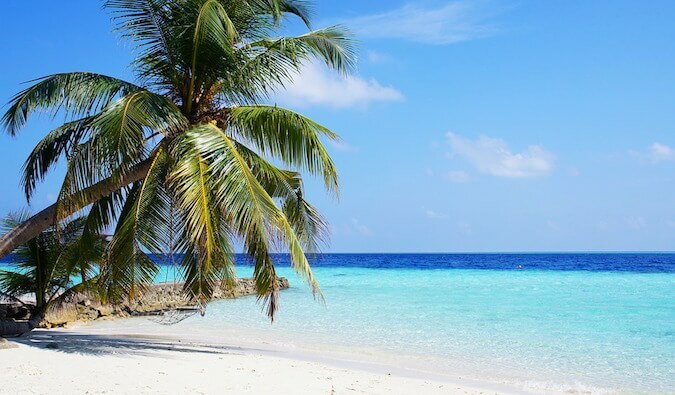 This isn’t much time in my book to do everything I want…I’d really like to do some diving, snorkeling, and just laying on a beach to read a book. Any particular islands you’d suggest? Ditto that………….I’d be interested in the islands that offer scuba diving as well. That’s a cool video, Matt. Fiji is beautiful and that’s the second place I’m going on my trip after Koh Tao!! Great bit of advice Matt re.the hop-on-off boat pass and I especially like the taste of what to expect. Quick question (and I know this was posted in 2010 so prices may have changed) – when you gave figures of 65 a night for dorm rooms and 100 a day if doing activities, did you mean 165 total or that a 100-a-day budget would be enough for someone looking to do activities as well? Also, how much was the boat pass? I couldn’t find any hostels for two. We want to go everywhere in Fiji. Do you have advice for me about the cheapest places to stay? I love your hop-on-off boat pass. All the resorts are on the on the island. It’s a set price. Most islands only have one place to stay. We are staying in Fiji for 20 days. Do they give cheaper pices because of the length of the time? Is it cheaper to get the Bula Combo Pass or just pay for (dorm) rooms as you go?? I’m going in November and have heard the rates go down?? im going to fiji and NZ.Is island in fiji the best island to travel for backpackers? I love your website and have referred to it often while planning my own adventures. I am leaving in august to go backpacking for 5 months. one of my stop is Fiji, I have a good budget, but I am still concerned about the costs of backpacking here especially accommodation being as limited as it is. I was thinking I might have to change my flights as I am currently going to be in Fiji for 18 days. Is the bula pass the most cost efficient way of backpacking Fiji or are there cheaper options? I know it’s been a while for you since you visited Fiji. I am planning to go there next week and was wondering how the Bull pass is working. Are you able to jump of any island on the route you want? What about travelling to the next island. Is it possible to get on the ferry from each island without going back to the mainland? E.g. 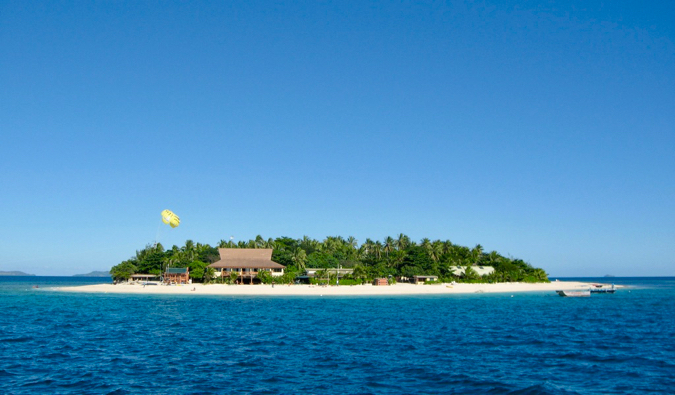 staying two night at manolo island and go afterwards directly to barefoot island (without going back to the mainland)? How can I find other solo travelers/backpackers who are interested in sharing bures, accommodation in Fiji?